The Calming Colours of our Suffolk Skies. 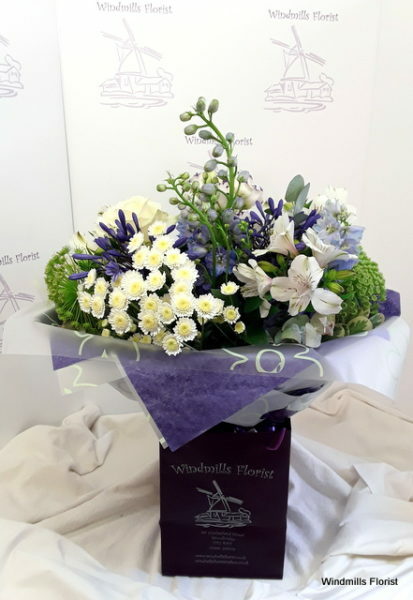 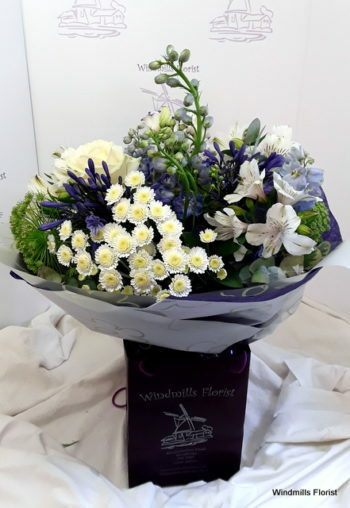 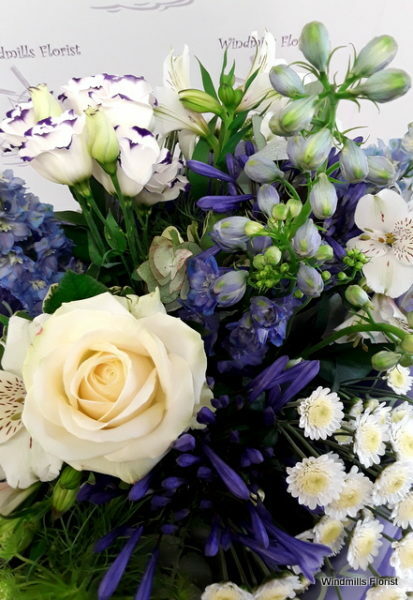 Beautiful Blues and White Choice Flowers arranged with Dutch foliage in a hand tied bouquet. 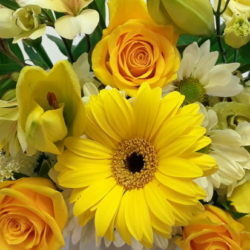 Our Hand-Tied Bouquets contain an assortment of the freshest flowers available on the day. 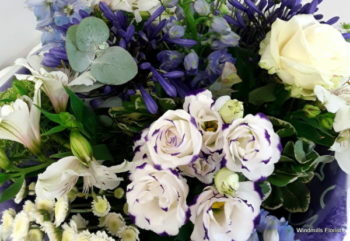 They are arranged in water. 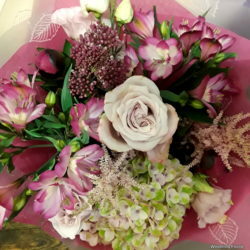 We compliment the bouquet with luxury gift wrapping and a gift bag. 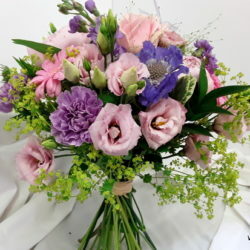 Your personal message, hand written on a suitable card completes your gift, ready for delivery. Add on our luxury ‘Skellig’ chocolates truffles for that extra special touch.